Digestive Enzymes are amazing protein molecules which speed up chemical reactions in the body involved in everything from digestion to breathing, cell growth and molecular transportation. The reason why digestive enzymes have been developed and marketed is that many people eat such horrible foods in their diets that they need assistance in processing those foods. In addition, enzyme production drops as we get older compromising our optimal body function. Processed foods are notorious for challenging the digestive tract because enzymes which are found naturally in foods are destroyed when they are processed. Even cooked foods rely on the body’s digestive enzymes, and since there is a shrinking pool of enzymes as we get older, digestive problems may arise. 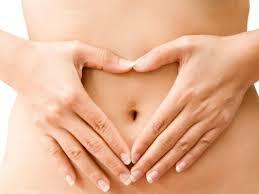 The main digestive enzymes are protease (digests protein), lipase (digests fat) and amylase (digests carbohydrates). It is believed that if insufficient enzyme levels are available to digest foods, toxins and undigested substances can linger in the body and precipitate illness. Other enzymes are available to aid in processing milk products and beans and are widely marketed. There is no conclusive evidence to support a beneficial effect per se when general digestive enzyme supplements are taken, but enough benefit from them seems to be present that they maintain their popularity. I can tell you from personal experience that I notice a pronounced difference in my ability to digest foods, particularly proteins, when I take a combination digestive enzyme supplement which has protease, lipase and amylase. Beware if you have diabetes and are taking medication for it, or if you take blood thinners, as digestive enzymes can interfere with such medications. 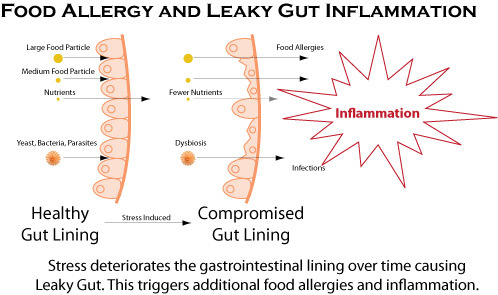 In conclusion, if you notice that you experience digestive upset, you might want to try digestive enzymes for a few weeks to see if your digestive issues improve or resolve. Take one tablet with three of your meals. 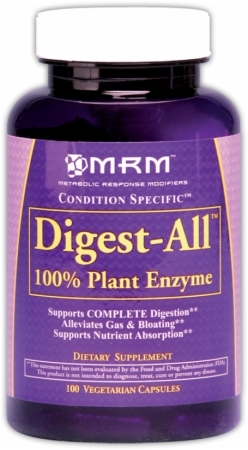 One of my favorites is MRM Digest-All because it has a comprehensive formulation of digestive enzymes.